Welcome to Unique Glass Colors, manufacturers of kiln fired glass colors, specialty products and MUD. UGC has been producing high quality glass colors since 1994. The original location was in Logansport, Louisiana. Unique Glass Colors was purchased in 2009 by Margot Clark, Harold Clark and Saulius Jankauskas MD. 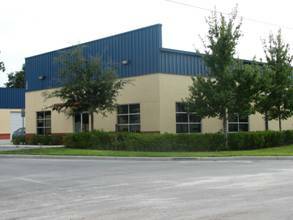 The company is now located in Casselberry, Florida. Our products will allow you to create beautiful works of art, both kiln fired and non-fired, on many different surfaces. UGC currently has four kiln fired color lines - Original, NT, Artisan and Accent- that are for commercial applications, hobbyists and artisans. Our colors kiln fire in the 1425F to 1550F firing range. Surfaces include - float glass, porcelain, terra cotta, recycled glass, specialty glass, pre-fired pottery and most any glass that can fire within that range. The colors can fire to much hotter temperatures when used on surfaces other than glass. We also manufacture Glass Separator, FREE, Bubble Powder, UGC Medium and MUD. Our MUD is available in White and Black and can be kiln fired or air-dried depending on the surface. Please click on Product Info to find out more about each of these product lines. There is also a description for each product with it's listing in the Shopping Cart. Visit our Gallery to see some of the ways UGC colors and products have been used in creating art.